In “The Imitation Game,” Benedict Cumberbatch plays Alan Turing, the intellectual father of the modern computer, who cracked Nazi code to held turn the tide of World War II. 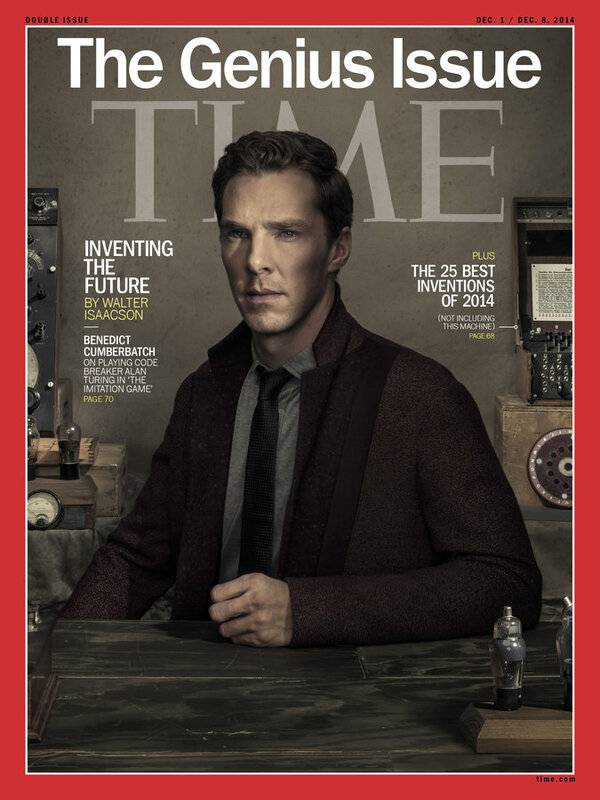 In the process of making the press rounds for the film, Cumberbatch has landed on the cover of Time Magazine’s Genius Issue, which features a more in-depth story on Turing. Throughout the film’s press campaign, Cumberbatch has been vocal about the fact that not many people know Turing’s story, or the fact that he was prosecuted for being a homosexual. In the cover image, Cumberbatch is seated with real and recreated World War II items such as a vintage Enigma machine and a bomb wheel. A few highlights from the interview are listed below, as well as a shot of Time’s cover and two videos from the interview and photo shoot. “The Imitation Game” opens November 28. Which of his characters does he think are geniuses? He wasn’t a computer whiz, but he did like video games as a kid.